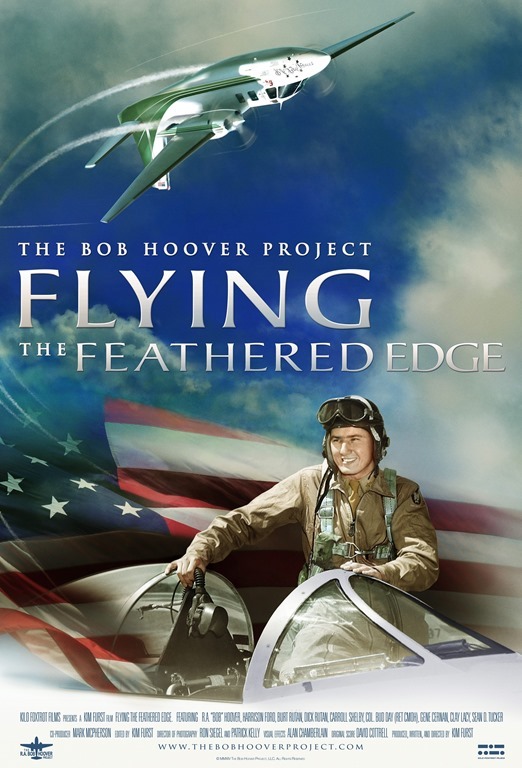 The Museum of Flying in conjunction with Kilo Foxtrot films is proud to announce the kick-off of the Museum of Flying Film Festival Series with the Los Angeles premiere of the documentary, “Flying The Feathered Edge: The Bob Hoover Project” The premiere is slated for Friday, February 20, 2015 at the Museum of Flying. This documentary chronicles the amazing flying career of the legendary fighter pilot, test pilot and air show performer Robert A. “Bob” Hoover. The production features appearances by Harrison Ford, and aviation notables Clay Lacy, Sean Tucker, and a number of other famous aviators. The film is directed by acclaimed documentary Director Kim Furst. The event will begin with a reception at 7:00 p.m., which will be followed by a discussion and Q&A session with Bob Hoover and Director Kim Furst. The documentary will then screen at 8:30 p.m. Tickets are priced at $50 per person for general admission and are limited to 375 seats, with VIP lounge seating priced at $100 per person limited to only 25 seats. The proceeds for the event will benefit the Museum of Flying, a 501(c)(3) non-profit organization and contributions are tax deductible. Tickets will be available for purchase beginning today on the Museum of Flying website at www.MuseumOfFlying.org. For more information, contact the Museum at 310-398-2500, or email at contact@museumofflying.org.